Comfort food, we all love it at some time. For me a great Spaghetti and Meatballs in Marinara Sauce is pretty high up there on the comfort scale. On a cold winter night there is nothing like a bowl or plate of hot pasta with tender little meatballs and a great marinara sauce. It is something we have often and it is the best. Pasta is company worthy just as it is family friendly. The recipe that we have for you today is not only filled with authentic Italian flavors but it is easy to accomplish also even for a beginner cook. 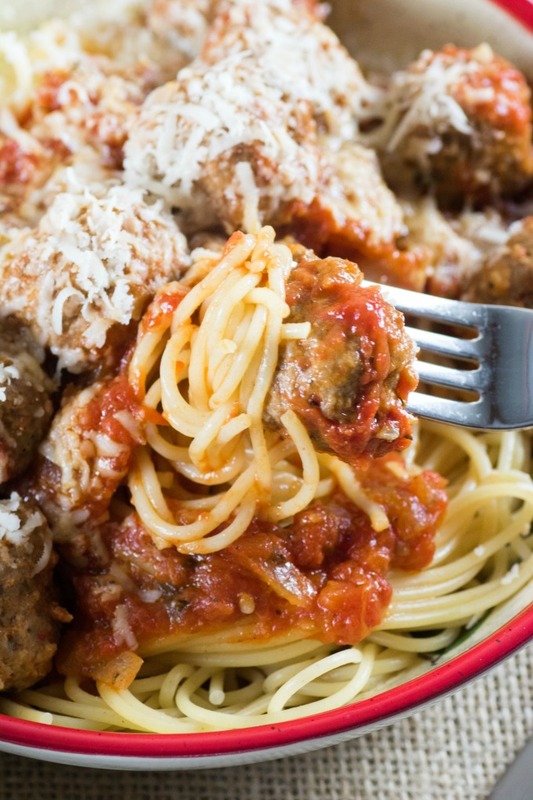 Kids love a big serving of spaghetti and meatballs. It usually isn’t something that you have to coax kids to eat. Making up a big pot of homemade meatballs and sauce will make the whole family happy. My family loves this recipe! It really is a favorite among many many families. Doesn’t matter if you are Italian or not!! Hubby is the one that has perfected this recipe here! I have made a Slow Cooker Spaghetti Bolognese before and that is delicious too but without using a crockpot this recipe I have for you today can be made up fresh and served in no time. Choosing the right protein is essential for a great meatball. For us it is a mixture of ground beef and Italian sausage. 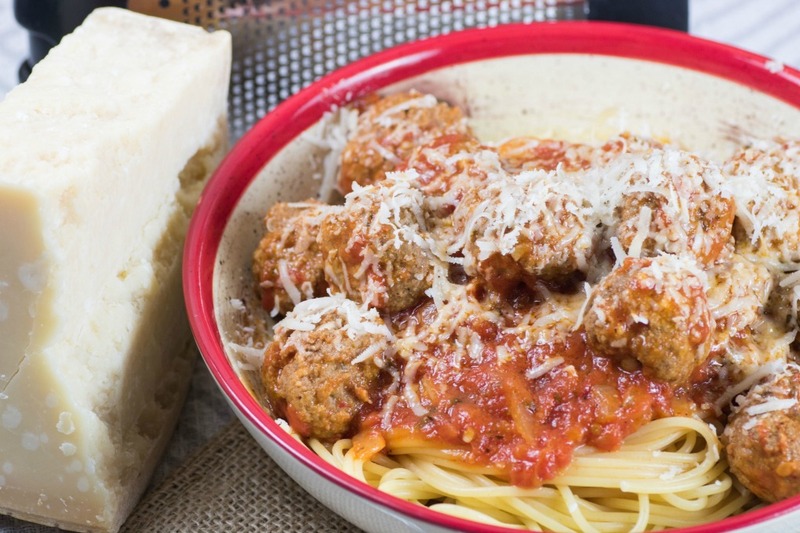 This will give you a tender, juicy meatball that no one can resist. Watching your calories and fat intake? Want a delicious and healthy meatball? I have to say I do like turkey meatballs too and have made them many many times also. They are great in Turkey Meatball Subs. I just add in more spices and to amp up the flavor as you don’t have the advantage of the Italian sausage. Turkey meatballs are still wonderful though. You can hand roll meatballs or use a cookie scoop to get them all the same size!! That is a good tip to know! How to cook a perfect meatball you ask? Do you oven bake them, fry them in a skillet? For me the perfect meatball is cooked in the marinara sauce and not baked or fried. You really don’t want a crispy outer shell on a meatball, you want it to be tender and juicy from the outside in. The only way to accomplish this is to cook it right in the sauce. And why not? One less really messy pan to clean. This makes cooking the meatballs a breeze and you can omit the baking sheet or large skillet. Can you make the meatballs ahead of time for a busy night and freeze them? The answer is yes, you can cook meatballs right from frozen and put them in the sauce. 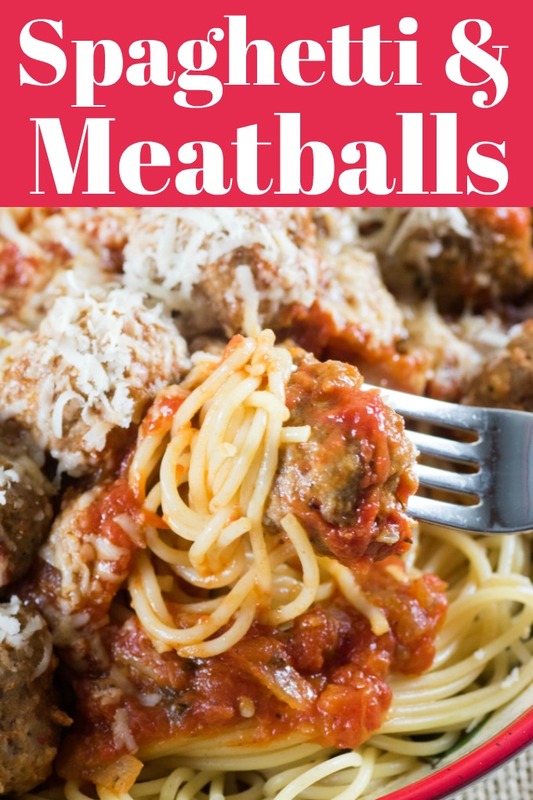 Of course this will take a bit longer to cook and you will want to make sure they are cooked all the way through but for an even quicker dinner you can do the meatballs ahead of time. You can also thaw them and cook them in the sauce also. It is a simple dish but maybe you have never made it before. Following this easy recipe will have you accomplish the best homemade pasta dish around. Once the sauce is made and the meatballs are cooking all you have left is the pasta. The only thing you need to add to the water is salt and put in lots. For 4 quarts or 16 cups of water you need a tablespoon of salt. This will be enough to cook up one pound of pasta. Our recipe calls for 12 oz. of pasta so just under those recommendations would be fine. Read the timing on the pasta package. You want your pasta to be cooked to al dente. 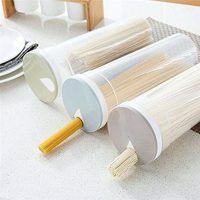 To cook your pasta to al dente it will feel firm, not crunchy, when you bite down with your front teeth. Al dente pasta will have a core of uncooked pasta running down the center of the strand. Drain your pasta immediately when it has reached this stage. For me Parmesan cheese is an essential garnish. And buy the best in block form not from a can!! Freshly grated Parmesan adds so much to your final dish. Simple ingredients but not a simple outcome. This recipe will be your new family favorite. If you had company over they would be just as thrilled to have this wonderful comforting meal presented to them. Add an Italian salad and some cheesy bread if you like and you have a complete feast. Those add ons bring this meal up to company worthy for sure. 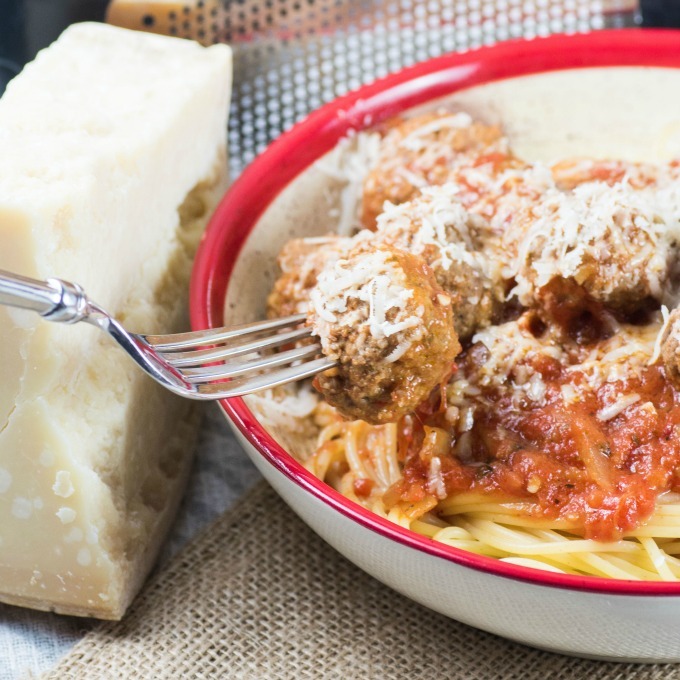 Spaghetti and Meatballs in Marinara Sauce is pure comfort food and wonderful on a cold winter's night. They are easy enough to prepare when you are home from work! Heat the olive oil in a large saucepan and add the onions and shallots, cook until tender for 1-2 min. Add the garlic and cook for an additional minute. Add the herbs, salt and pepper and combine. Add in the tomatoes and tomato paste, mix well. Bring up to a gentle simmer over medium heat and then reduce heat and cook for 10-15 minutes. In a large bowl combine all the meatball ingredients and incorporate with a fork, don't over mix. 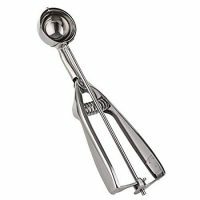 Shape the meatballs by hand or using a small cookie scoop. Makes about 40 smaller meatballs using 1 Tbsp. of meat. 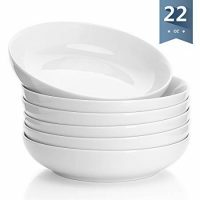 Set them aside on a plate or tray. When the sauce is ready add in the meatballs and let simmer for an additional 10 min. per side. Start the pasta water to boil and salt well. Cook as per package to al dente. 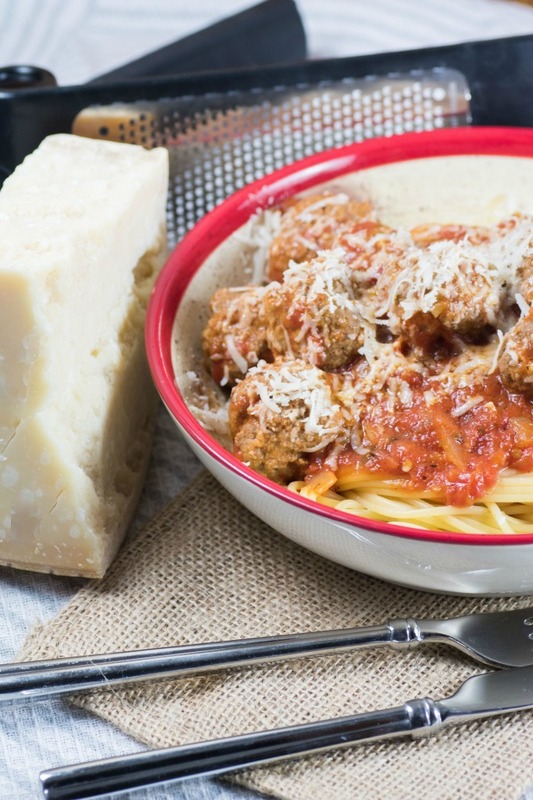 Serve the meatballs and sauce over the spaghetti and garnish with freshly grated Parmesan. That looks so yummy! 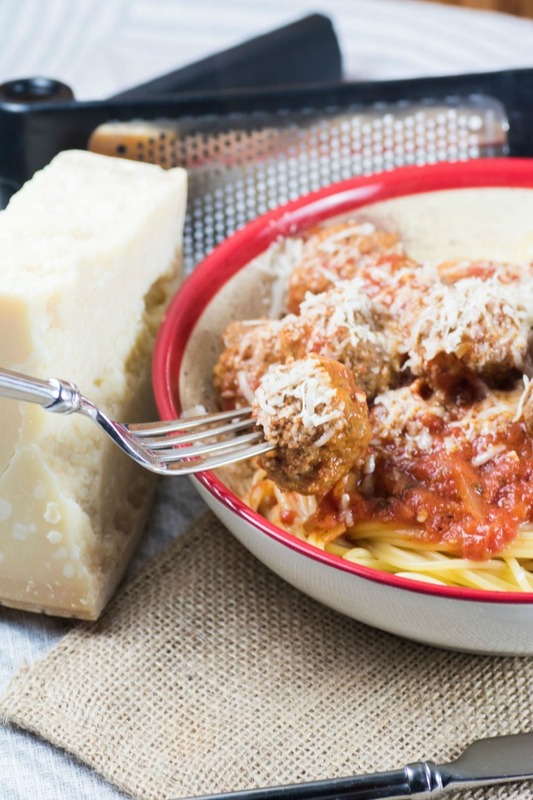 There is no better comfort food than spaghetti and meatballs. 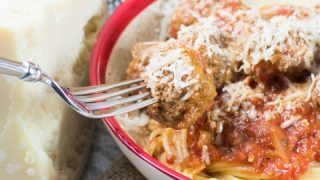 I never thought of making spaghetti and meatballs in marinara sauce, I’m going to have to give this a try. I am all about recipes like this – easy and delicious. I love a good bowl of spaghetti and meatballs! They are even better when they are both fresh and homemade. I can always go for a pasta night with this weather and this spaghetti looks very good. I’m really interested in trying that sauce. 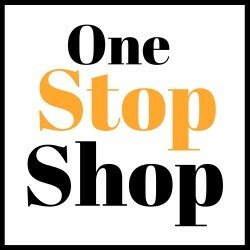 Our family loves Italian food and your recipe looks absolutely wonderful. In fact, now that I’ve read your post I’m hungry and want to make that tonight for dinner. Those meatballs look very flavor. Looks good and a hearty meal! When you see Spaghetti and Meatballs you think…oh we have this a lot. But then I saw yours and it made me want to make it SOON. Yours looks so good, and your presentation is awesome. I look forward to trying your recipe. 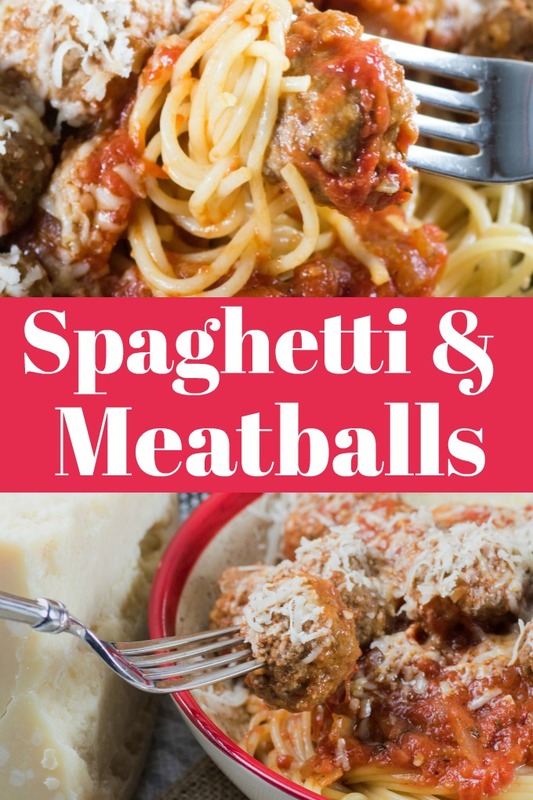 My family is all about spaghetti and meatballs, its the perfect comfort food and everyone loves it! Great recipe! That looks really good! Perfect for dinner any night! I love spaghetti and meatballs. We make everything homemade — even the noodles and it is so delicious! A classic favorite in my family! My youngest son makes delicious meatballs and spaghetti too. I will show him this recipe and he’d probably make some this weekend for the family.